It is not possible to boast about known Galicia in depth without having taken a tour of one of the monasteries that, hidden among leafy forests and dream places, form an important part of our historical, cultural and artistic heritage. Today we will propose a route for one of those places where, in addition to enjoying the peacefulness and harmony that are part of its essence, we will discover spectacular landscapes and great beauty. 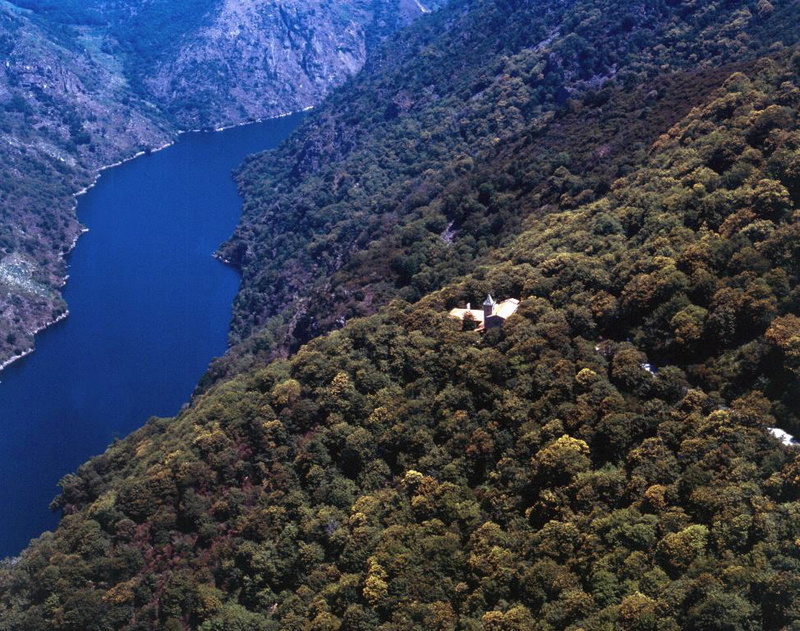 It is in the Ribeira Sacra (Ourense) where we find most monasteries, probably because of the incomparable environment there. The first place where we make a stop is the Monastery of San Pedro de Rocas, in Esgos. What is going to draw attention to us on arrival is at the same time its main feature: it is dug in natural rock (hence its name), which makes it practically unique. In addition, it is the oldest in Galicia (before 573, as it has been proven), and since 1923 has held the title of Cultural Interest. Following our route, we now go to the Monastery of Santo Estevo de Ribas de Sil, which we have talked about and whose main peculiarity is that it combines different types of styles in its construction: Romanesque, Baroque, Gothic, Renaissance and Neoclassical. Very close to here, surrounded by centenary chestnut trees, is also the Monastery of Santa Cristina de Ribas de Sil. 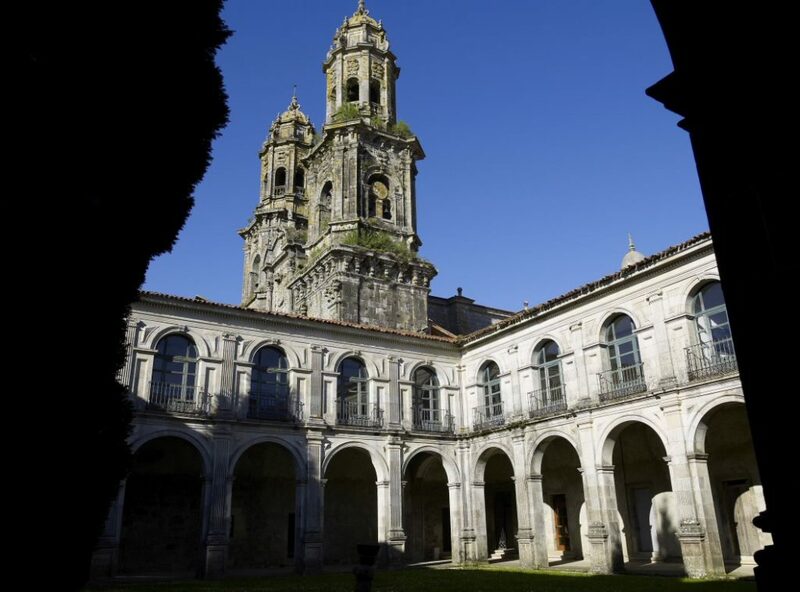 In the province of A Coruña we started the route through the Monastery of Santa María de Sobrado dos Monxes. Declared National Artistic Historical Monument, this medieval complex is in the middle of the North Way that goes to Santiago de Compostela. 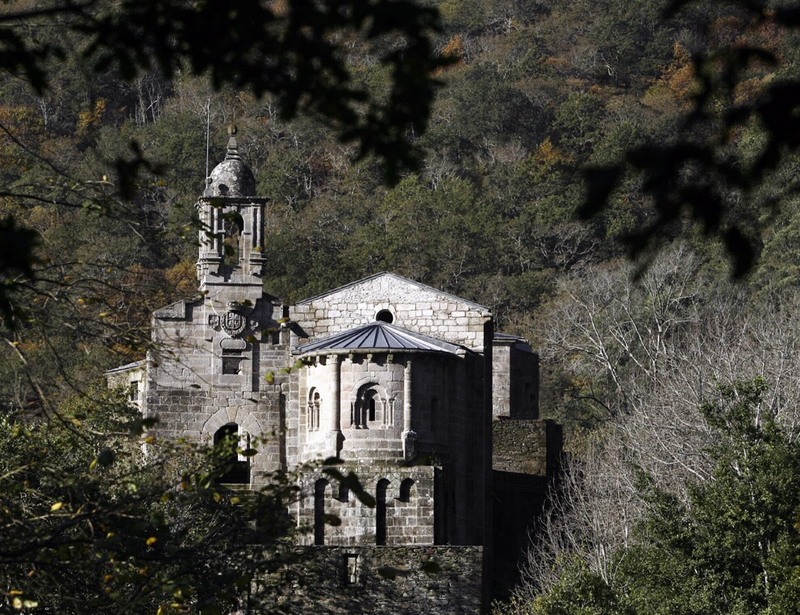 It is, along with the Monastery of San Pedro de Rocas, another of the oldest in Galicia. Nowadays, given its location, just 70 kilometers from Santiago, it is a point of passage for the thousands of pilgrims who each year make the Camino to see the Apostle. It also used as a hostel. 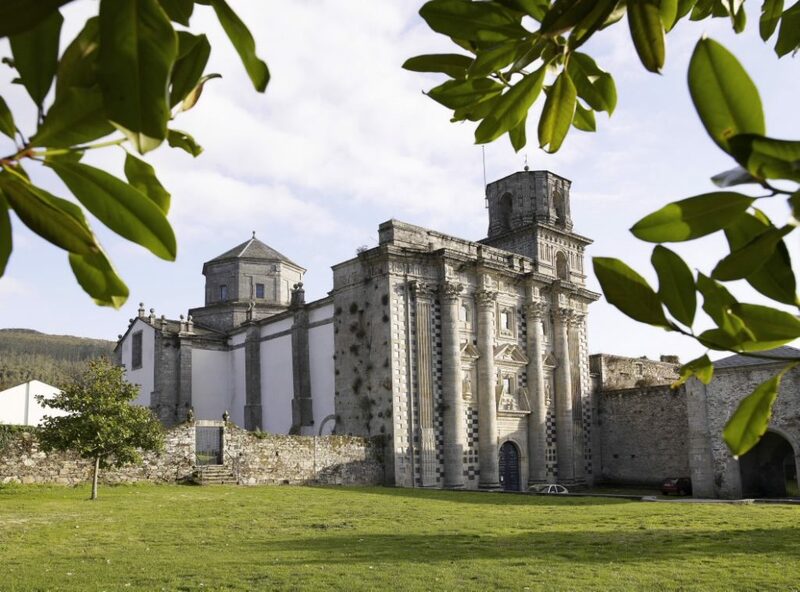 Also in A Coruña, in the heart of the Fragas do Eume we find the Monastery of Santa María de Monfero, one of the Monasteries that had more power in all Galicia. 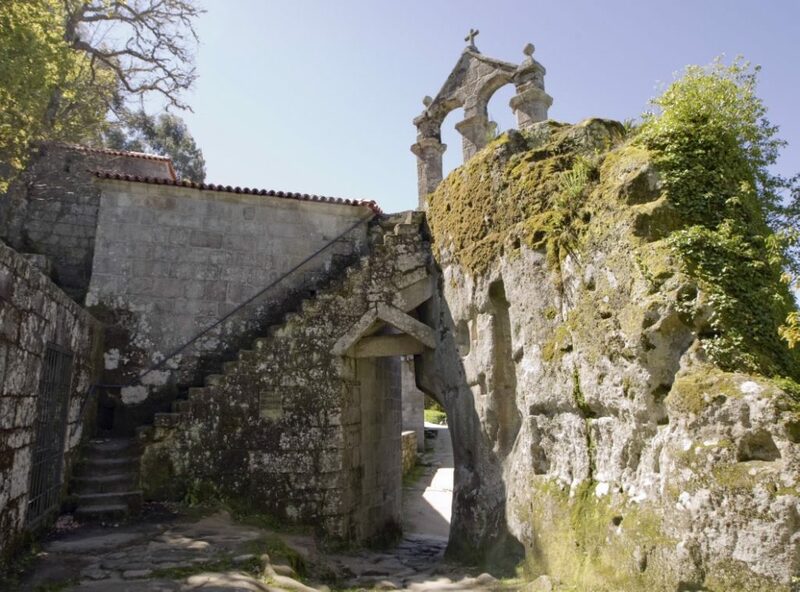 Nearby, in the middle of a thick forest, is the Monastery of San Xoán de Caaveiro. If there is something that makes this place special, in addition to its intrinsic beauty, are the spectacular views of the valley of the Eume that offers us. Green colour is infinite there. Of course, to enjoy all of this, you have to walk up the mountain … Depending on the time of year, you can access by car to an area near the Monastery or to a more distant one, and in the latter case, the ascent must be completed on foot. It’s a hard way, yes, but it’s really worth it. 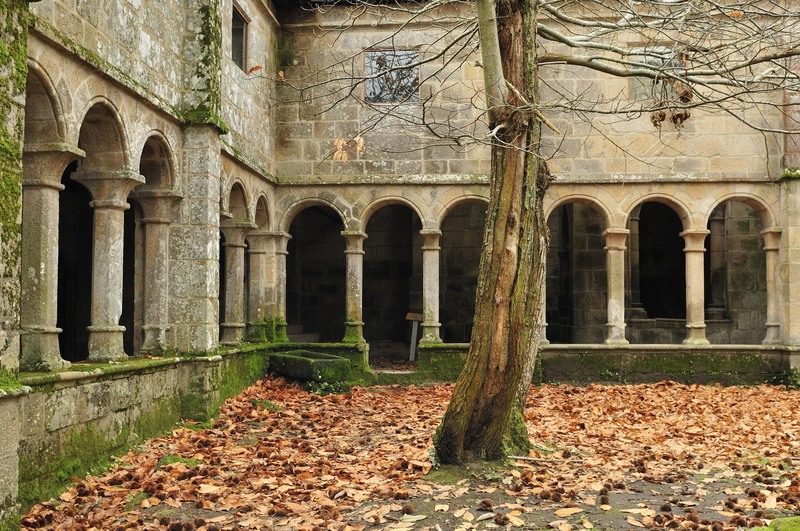 On the banks of the river Deza, in the province of Pontevedra, is the Monastery of San Lourenzo de Carboeiro. 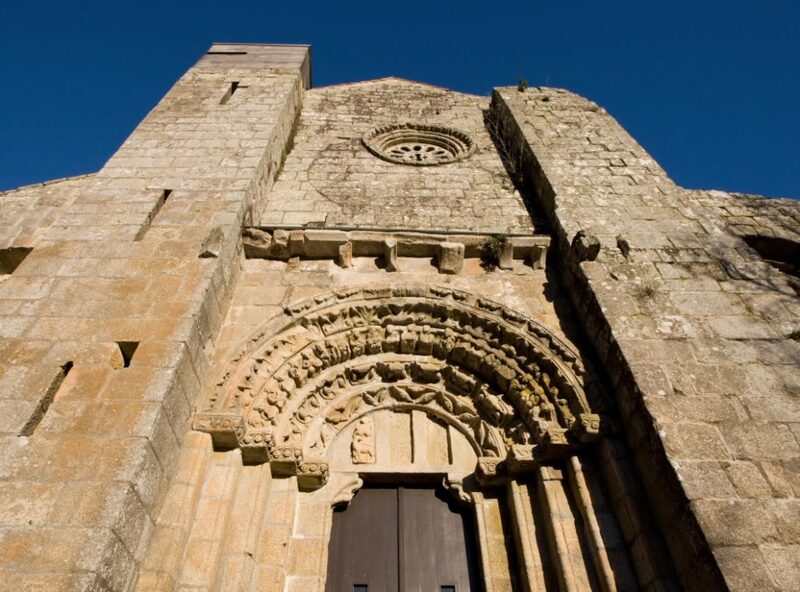 As soon as we get there, the first thing we see is its Romanesque doors which, it is said, would have been built by disciples of Master Mateo. In the main one, we can see represented the 24 elders of whom spoke the Apocalypse. 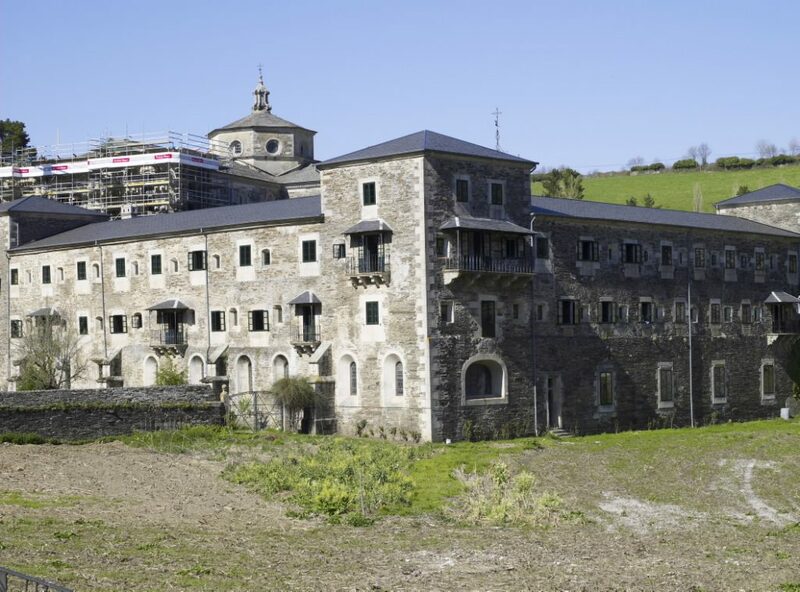 Finally, and already in the province of Lugo, we approach the Monastery of San Xulián de Samos. 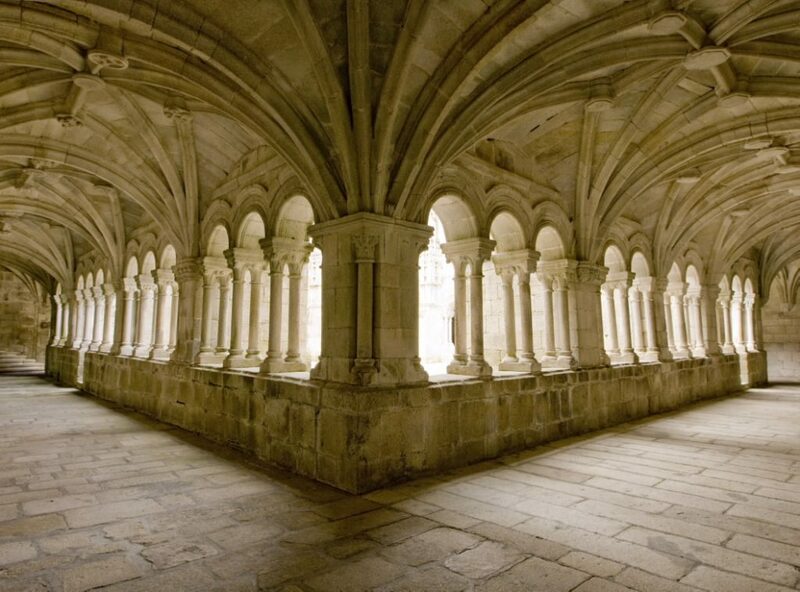 Like that of Sobrado dos Monxes, this monastery is a place of passage for pilgrims on the Camino de Santiago. As a curiosity: a little further up from this monastery is the famous Cypress Chapel which, with its more than a thousand years old, is one of the main artistic jewels of our community. In addition, the fact of being before the monastery suggests that it was relevant when deciding to build it here. Galicia offers the opportunity to discover it with very different routes, and the one that we propose today is probably one of the most interesting at all levels, so if you have a free weekend and want to make it magical, this is your route.